Anyone having that issue where the latest version of the android market 3.1.3 will force close within a minute or so of opening it? Here is the fix.. it’s holding for now. Is Samsung Galaxy R a Worthy Alternative to the SII? The Galaxy R will be available for less than the price of the premium Samsung Galaxy SII. The Galaxy SII is Samsung’s top end phone with cutting edge technology, and the Galaxy R only has a few minor differences with its screen and processor. So is it worth saving money purchasing a cheaper Samsung Galaxy R contract or do these changes make it significantly less desirable than the SII? The Galaxy R is nearly as powerful as the larger SII, with a 1GHz dual core processor as opposed to a 1.2GHz dual core. This means that both phones are very quick and can handle multitasking as well as complex media tasks with ease. The Galaxy SII is slightly faster but it really is hard to notice unless you measure them with complex technology. A dual core 1GHz chip is still pretty powerful and top of the food chain, although it is likely to age quicker than the SII. Samsung has also switched from the Exynos chipset in the SII to a Tegra 2, and there is some debate about which offers the best performance. Either way, the Galaxy R remains a high powered device in its own right. The devices also look slightly different and there is nearly a full 1mm of a difference between them in width. The Galaxy SII also has a larger screen and is also a little longer. The shape however is fundamentally the same, with a home button and a slim bezel – there is no doubt they are part of the same family. The home button does come with a slightly different design but with just a cursory glance you would be forgiven for confusing the two phones. The two phones also have different screens. The SII has the famous Super AMOLED Plus screen which has tech geeks across the world salivating, whereas the R has the Super Clear LCD that uses Samsung’s TV engine, the digital natural image engine. This software creates a wonderful picture and once again image wise the phone is just as good as the SII’s. It should be pointed out as well that while the screen is 0.1 inches smaller than the SII’s, it still comes with a WVGA resolution. Because of this it has a higher pixel per inch (PPI) density offering sharper images. So the trade-off here appears to be sharper visuals instead of vibrant colours, as found on the Galaxy SII. 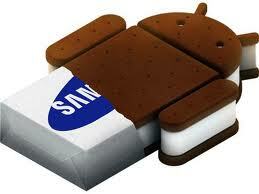 Both devices also come with Android Gingerbread and both also have the Samsung TouchWiz interface on top. This interface is excellent and comes complete with Samsung features like the Games Hub, Media Hub and Social Hub, which combines various social networks into an easy to manage app. In terms of software the two phones are pretty much the same. The phones have different cameras and the SII’s is noticeably better offering 1080p recording and 8mp for stills.The Galaxy R is more austere and has a 5mp camera with a 720p recording ability. This gives the more expensive Samsung an advantage and this is clear to see when taking photos. There is no problem with the Galaxy R’s camera; it just doesn’t have the hardware to compete with the more expensive phone. So it seems that while the Samsung Galaxy R on contract and SIM Free will most likely be quite a bit cheaper than the SII it won’t actually offer any serious reduction in quality. The processor is a little slower but at present the Galaxy R will still not struggle with anything thrown in its direction. Physical changes are minimal and the only real differences are with the screen and the camera, which are still both of the utmost quality. In answer to the original question then, it may very well be worth considering the Galaxy R as a more affordable version of the Galaxy SII, without feeling that you have gypped yourself in any way with the phone deals on offer. This article aims to be the most accurate compilation of all the facts, leaks and rumors out there on the Google Nexus Prime as of September 13 2011. It seeks to give the best possible estimate of the nexus prime specs and also includes what we think is the most accurate prediction of the nexus prime release date. We will also provide a lits of sources that you can check out for other facts and predictions about the nexus prime and the wild specs that we can expect from it. 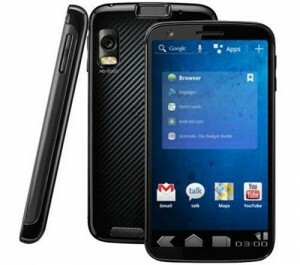 The Nexus Prime is said to be the first 720p Android device (720 by 1280 pixels). This HD Smartphone is going to pack a SuperAMOLED HD Display. We can probably assume a similar look and feel to the Super AMOLED Plus display’s found in the Samsung Galaxy S II, but with more than a 50% boost to the resolution (Galaxy S II is only 480 by 800). Currently HTC is running one of the highest resolution smartphone displays in their latest devices – the qHD Display stacking up at 960 by 540. Basically the screen on the Nexus Prime is going to blow anything we’ve got at present completely out of the water. Size will be 4.3 to 4.65 inches. 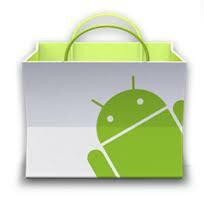 Android 4.0 – Ice Cream Sandwich – One of the most significant perks of the Nexus Prime is that it will be running the latest version of the Android OS – Ice Cream Sandwich, 4.0. Although we have heard this won’t be much more than a new skin on top of Gingerbread (along with bringing the tablet OS and phone OS under a single framework) there is one important difference in phones built for Ice Cream Sandwich – Ice Cream Sandwich phones have no physical buttons. We can safely assume that no physical buttons will have a pretty big impact on the overall user experience – we saw it in Honeycomb on tablets and it definitely changed thing up a bit. This is not to say that if you have a whine with hardware buttons that you won’t get an upgrade to Android 4.0 – It’s been all but confirmed that phones like the Nexus S will get the upgrade to the new OS. Earlier this year we found out that the processor is going to be manufactured by Texas Instruments. They make some of the fastest cpu’s in the smartphone industry, with and excellent record for battery efficiency. When the rumors that TI would be building the Nexus Prime processor first came out – they were accompanied by some promising stats and persuasive copy that suggested these beastly processors would be excellent when it came to power consumption. Lets hope they were telling the truth. As most of us who have ever checked out our phones’ battery stats know the display is the real killer anyway. It looks like the processor will be the OMAP 4460 clocked in the 1.2GHz to 1.5GHz range. Since most of the high end smatphones (or superphones) today are already hitting the 1.2GHz dual core mark, it’s pretty safe to say that the Nexus Prime will be closer to 1.5GHz. There are also rumors that we will find the latest Qualcomm Snapdragon processor in the phone (Krait) but this seems less likely (for now). This is a tough area to predict before the phone actually comes out – so we’re not going to get too specific. As we all know battery technology has had almost zero fundamental change in the past 10 or 15 years, so we’re not expecting anything dramatic from the nexus prime. That said, bigger has always been better in the batter world and with a 4.5 inch screen you can pack in a pretty large battery. Coupled with the fact that the Samsung AMOLED series of screens consume the least power of all the Android screens on the market today – we predict you can safely make it through a 16 to 20 hour day on one charge. When we saw the average smartphone battery size increase as phones jumped from 3.7 to 4.3 inches, we got a very welcome boost to average battery life. Based on the 4.5 (possibly even 4.65) inch screen on the Nexus Prime, plus the Sumer AMOLED HD Display, plus the rumors that TI has improved the power consumption of it’s processors – we are confident in saying that the Nexus Prime will have nearly the best battery life of any high end smart phone available today. We are predicting a release date of October 21 2011. This is based on a number of rumors and leaks – most of which explain an original plan (or Google’s) to have the phone out by Christmas, and then revamping that plan based on 2 things – being ahead of schedule and wanting to beat (or at least tie) Apple to the market on the release of their iPhone 5. The Nexus Prime will probably have a Canadian release date a month or two later. Some analysts are calling for a March release in Canada but we will likely see it before as the incentive to have it available before Christmas is extremely large. Here’s a shot of Motorola’s ATRIX LABDOCK – we’re big fans. Seeing as this is the first (real) LAPDOCK ever.. I think it’s safe to say there are better ones coming, but we think this is going to be the way of the future (especially considering NVIDEA’s quad-core 1.5 GHz chips hitting the market later this year! It’s pretty official now! We should get to see some quadcore tablets and smartphones in action later this year. We figure NVIDIA’s tegra 3 won’t be for sale in android devices until early 2012, but the fact that mobile chipset development has accelerated to this point is nothing short of incredible. Kik Chat Picture Messaging | It's Here! Kik chat now supports picture messaging (as long as you’ve got the latest beta..) This feature will make it’s way into the next kik update, which should arrive in the next few days – provided apple sticks to their typical (terribly slow) schedule for pushing app updates through. The first version of these new picture messaging features allows users to take a picture from within a chat. They are able to decide whether they like the picture, or they want a retake, and then they can insert it into their chat – all very seamless. We don’t have the ability to select pictures we took previously, but I’m sure that feature is coming. Even if it isn’t.. who cares – it’s kind of cool to know that all the pictures you receive were actually taken right then. Along with the new picture messaging features come a few new settings for your kik display picture. 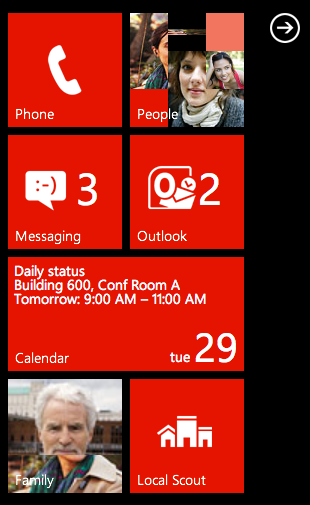 You will now be able to view the full size display pictures of all your contacts. Sony Ericsson’s Xperia Arc is one of the most popular devices available with current Android phone deals. So how can a single core device from a manufacturer that has released a number of lacklustre devices in recent years become this popular? We look at the phone’s top 5 strengths and try figure out why it is so popular. The Sony Ericsson Xperia Arc has one of the best phone cameras seen on any smartphone. This is thanks to the 8.1mp camera it has and the Exmor R sensor it utilizes with the device. This sensor was once the preserve of Sony’s compact cameras, has now been used by Sony Ericsson on the camera phone to excellent effect. The camera allows near compact quality photos on the phone. Add to this the ability to shoot 1080p and you have a phone that is as good for filming still and moving shots than most of us have at home separate to our phones. The phone also comes with the BRAVIA Reality Display for use with its excellent 4.2inch screen. This display uses technology from the television manufacturers sets to increase the quality of the display. The use of the technology and processors means that the phone creates some of the best blacks and whites, contrasts and shadow details across a wide array of colours seen on any small screen anywhere at this point and time. This makes the phone amazing for watching footage on and also amazing for viewing the images you shoot on also. Reality Display offers real time picture correction, making images sharper and more vibrant. The device is also physically beautiful. The Arc shaped back and the wonderfully slim bezel around the outside make the device a very attractive prospect. The phone is only 8.7mm thick and curves from top to bottom at the back. This all creates a very spectacular phone with which many will be happy to have in their pockets. The device also uses Android 2.3 Gingerbread and drops many of the Sony Ericsson inspired applications. This is all quite positive for the device and means that it can do what it does best by utilising the software simply with little standing in the way. The phone comes with a single core 1GHz processor which may not seem a lot, though is a nice quick processor that Sony Ericsson has got the most from. It can lag slightly when using things like the Timescape social media widget, though is a very good little chip and really works well. But to make things even better Sony Ericsson have released an upgrade to the Xperia Arc with an even more powerful processor. This is the Xperia Arc S deals which come with a faster 1.4GHz chip and even better performance. This is not a full upgrade, and the Xperia range has not yet entered into the dual core era, but the Xperia Arc S is an excellent boost to an already fantastic phone.